Model Number - DWD4310. Beko Dishwasher Spare Parts. ITEM- filters, unclean. Model - DW451. Beko Dishwasher. ITEM - Power Suppressor. Beko Dishwasher. ITEM - Filter. May fit other similar models . Model - DW451. Beko Dishwasher. ITEM - Filter Assembly. Genuine Beko Dishwasher Filter. Get In Touch. Suitable for the following appliances: Arcelik D3543FW, Beko CE68206C, D3421FS, D3421FW, D3422FS, D3422FS(NEWVERS. )., D3422FS-42, D3422FW, D3422FW-42, D3731FS, D3731FW, DE2431FS, DE2431FW, DE2541FS, DE2541FW, DE2541FX, DE2542FS, DE2542FW, DE3430FS, DE3430FW, DE3431FS, DE3431FW, DE3541FS, DE3541FW, DE3542FS, DE3542FW, DE3761FS, DE3761FW, DE3762FS, DE3762FW, DE3861FS, DE3861FW, DE3861FW(NEWVERS.). 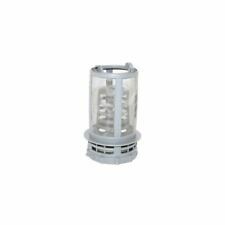 Beko Dishwasher Spares Two Part Main Filter Model DFS05X10W. Condition is Used. Dispatched with Royal Mail 2nd Class. Lamona Beko 1740800500 Lamona Beko Dishwasher Filter. Genuine Part Number 1740800500. If there's a problem, just let us know and we fix it. Take safety precautions when repairing all appliances. Genuine product supplied by the original manufacturer. Accesorio De Secadora BEKO 2964840100/rpm/Genuino evaporador Esponja del Filtro para..
Mains Filter. Take safety precautions when repairing all appliances. Black Foam Filter for Beko Dryer- Compatible Models: DPU8305GX DPU8340X DPU8360X DPU8306GX DPU8361GX DPU8341X DPU8341GX DPU7304GX DPU7440 ESSENTIEL B:- ESL-HP8D1 ESL-HP8D2 ESLHP8D3. Model - DE2542FS. Beko Slimline Dishwasher. Have any queries?. We are more than happy to help. PLUS MANY MORE. Filtro genuino Lavavajillas Beko. Todos los artículos vendidos son nuevos y por lo tanto deben devolverse en las mismas condiciones. Acerca de nosotros. Todos los precios son incluyendo IVA. Part No 1740800500. Genuine Beko Dishwasher Filter.